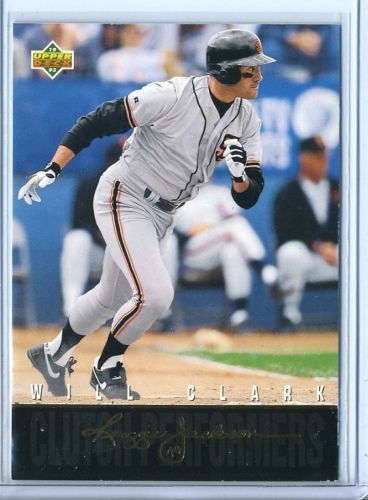 1993 Upper Deck Reggie Jackson's Clutch Performers insert card of Will Clark (#R6). NrMt to NrMt-Mt. ONLY ONE AVAILABLE FOR SALE.